EYE RACKETS UK are delighted to announce a ground – breaking sponsorship agreement with Scottish Squash. The four figure deal, which will see Eye provide equipment and prizes for Scottish Squash’s elite Platinum Series, National Championships and Masters Age Group Championships, is an unprecedented association between a squash goods manufacturer and a national governing body. Announcing the deal, Eye Rackets UK managing director Andrew MacBean, who is a native of Inverness, said: “I am delighted that Eye Rackets are able to announce our partnership with Scottish Squash as their official racket and shoe partner. 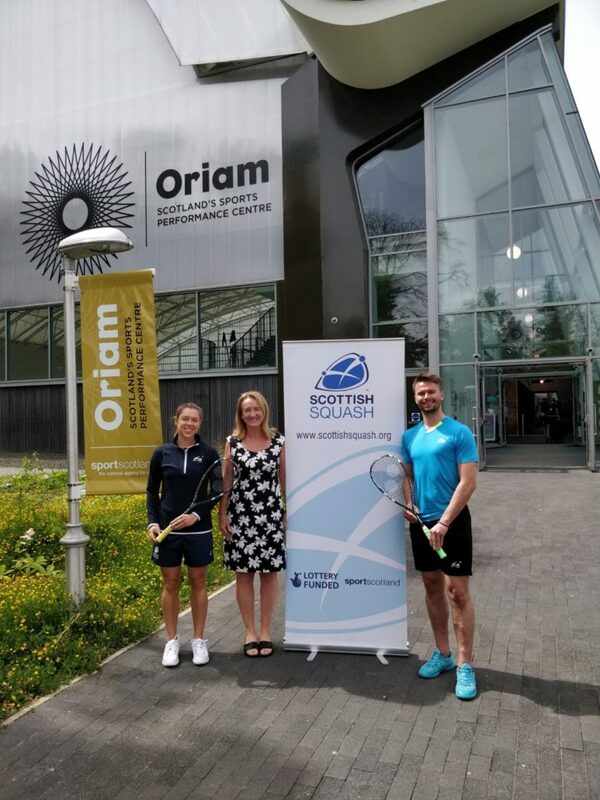 “Scottish Squash are continuing their programme of improvement at a rapid pace and their modern approach, coupled with exciting and dynamic methods, make them the perfect partner for Eye Rackets. As part of the ground-breaking deal Scottish Squash affiliated members, teams and regions will receive 40% discount code for Eye’s bespoke products with 10% of these sales going to the governing body and delighted Scottish Squash CEO Maggie Still said: “Scottish Squash are thrilled to have extended our partnership with Eye Rackets UK ahead of the 2018/19 season. Eye Rackets have been very generous in their support of our grass roots development and competition programmes, and we are extremely grateful for their ongoing support. Eye’s revolutionary racket design and edgy street-fashion S Line shoe range have seen the manufacturer sign up world number six and current British Open Champion Miguel Angel Rodriguez, Commonwealth Games silver medallist and world number 10 Paul Coll, former world champion and current world number eight Karim Abdel Gawad and Peruvian hot-shot and world number 11 Diego Elias. 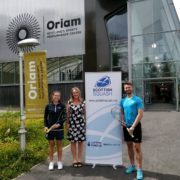 Eye’s unique bespoke squash range is also much in evidence at The Oriam, Scotland’s National Performance Centre, where newly crowned ladies national champion Lisa Aitken, the world number 58, is also Eye’s fastest rising star in the female game and Scotland Ladies no3 Georgia Adderley another recent signing. Scotland international Kevin Moran, who starred down under at this summer’s Commonwealth Games in Australia, is also a keen advocate of the company’s state of the art produce. The Scottish Commonwealth Games hero has no doubt that the quality of the brand’s products can only boost the domestic squash game: “I’ve been using Eye Rackets for just over a year now and the quality of the product is superb. “The Eye racket range is incredible and can cater for any type of game you play and they are deceptively strong. “The introduction of the S Line shoe has been a particularly exciting development and I feel that matching them with the simplistic and striking Eye playing and casual wear range of apparel has provided a really stylish ensemble,” said Kevin.